The Chromecast quickly turned into the darling of the tech world almost over night thanks to its easy setup, access to range of services out of the box, and impossible-to-deny low $35 price tag. For the most part, we have heard nothing but positive things out of users who were lucky enough to pick one up on day 1, moments before the HDMI streaming dongle was sold out almost everywhere. 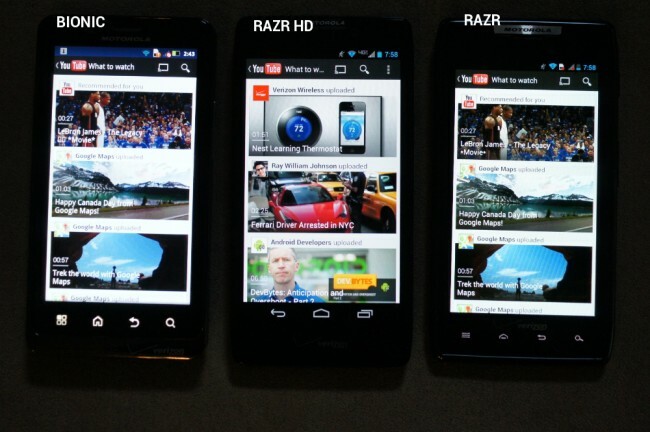 Well, there is one group of users who is having a rough time with it – owners of the original DROID RAZR and RAZR MAXX. 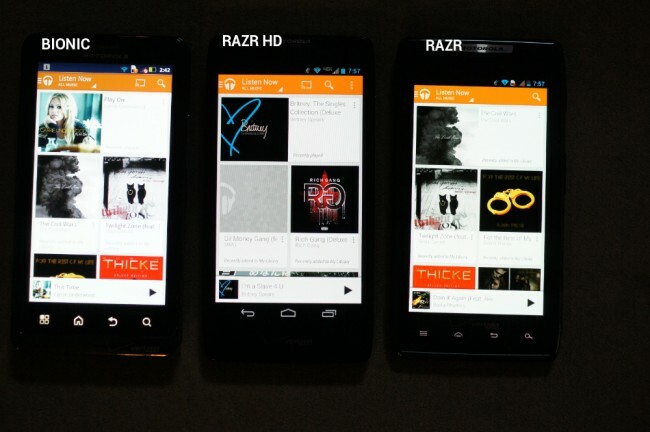 For whatever reason, the original RAZR is unable to cast items in either Google Play Music or Play Movies and TV. It does however, work just fine in both YouTube and Netflix. 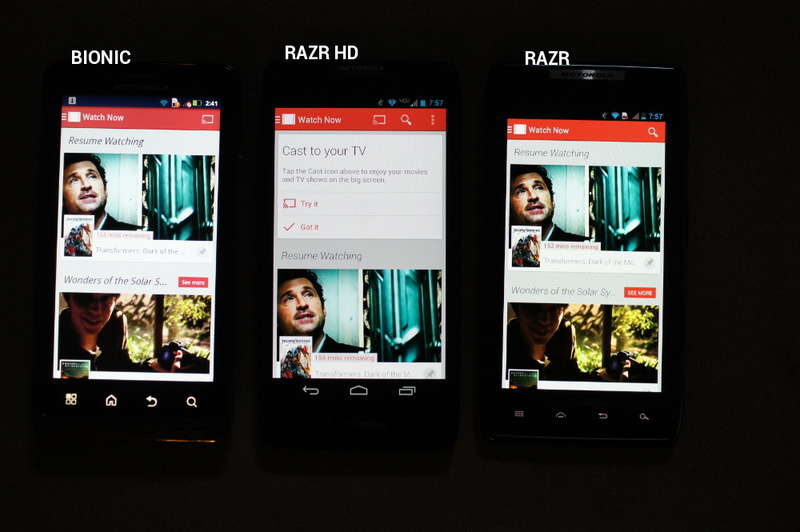 So while RAZR owners can still use about half of the Chromecast service, you can imagine how frustrated they are without being able to access it all. Some users are also reporting back that initial setup of the device cannot be done through the RAZR and instead needs to be performed online. I was able to test Chromecast on three different Motorola devices and came to the conclusion that it is indeed a problem specific to the RAZR. In the pictures included in this post, you’ll see my DROID Bionic, RAZR HD, and RAZR all lined up with Play Music, Play Movies and TV, and YouTube up and running. In only the YouTube image are we seeing the cast icon displayed on all three devices. In the Play Music and Play Movies and TV images, the cast icon is not available on the original RAZR. Why that is, we have no idea. Some forums are reporting that Motorola support has claimed it to be an Android version issue, and that Chromecast requires you to be running Android 4.2.2, however, we know that is not the case. There is only a Android 2.3+ requirement on the Chromecast. To prove that Chromecast works on Gingerbread, look no further than my Bionic which is still running Android 2.3.4 and has no problems accessing any of the Chromecast compatible services. My RAZR HD is running Android 4.1.2 and is having no problems either. It could simply be a bug in the Play Music and Play Movies apps that needs to be addressed by Google. We see bug-fixing app updates all of the time. With so many devices on Android, there are bound to be some that struggle at times with platform-wide available apps. Until we know for sure, we’ll simply have to sit back and watch for an update…from someone.